When it comes to the innovation in the construction industry, most people immediately assume that the talk is going to revolve around hardware. Nonetheless, digital tools used by construction companies may have a ground-breaking effect and influence on these businesses. So, the software you use doesn’t just determine your efficiency, it also dictates your projects and processes. In other words, it affects your construction company to its very core. Here are most important four fields in which you need to turn to high-end digital tools. The first advantage of using a construction industry software lies in the fact that you no longer need to keep in a huge accounting team when you can just entrust this to one person equipped with the right tool. In the construction industry, this is incredibly important due to the fact that expenses and overhead are pretty straightforward while taxes, returns and tax depreciation are not. On top of it all, you also have to juggle between the cost of goods sold, break-even point and much, much more. With a specialized accounting tool, this can be made much simpler, which would, in turn, simplify and automate the administrative side of your business. Downloadable guides are the cornerstone of modern education. In the past, formal education was held in the highest esteem, however, nowadays, each industry advances at such a pace that it’s nearly impossible for one to stay in touch by following this course. Imagine someone who graduated from a medical school two decades ago and asks yourself one question – how far has the medicine, as a science, progressed since then? A similar thing takes place in the construction industry. Fortunately, with the help of downloadable guides, such a thing is within the hand’s reach. The next thing you need is a CAD tool or the computer-aided design that can be used for modeling and analysis of the design in question. With an adequate Autodesk software you can not only get a tool in which you can draft the end project but also get an opportunity to analyze and examine its physical properties before the construction even begins. Without such a tool, any flaws and miscalculations would be revealed only after the design was already finished. In other words, this doesn’t only save time and resources but may also end up saving lives. Overall, for any serious construction company, a reliable CAD tool is a most definite must-have. 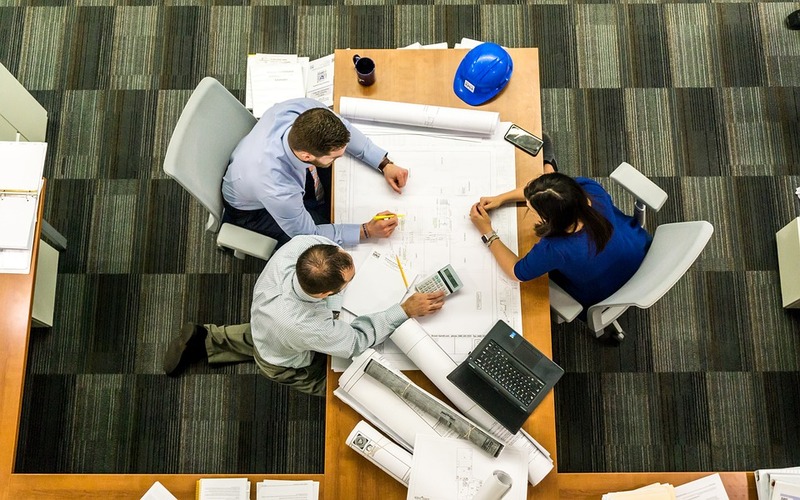 Running a construction project may be somewhat different than running an office project, yet, with the help of the right digital tool, both of these tasks can be made substantially simpler and easier to handle. In the era of cloud computing, this can be made even easier, seeing as how you can have everyone on the construction site and everyone in the administration connected via their smartphones. This means that a foreman could make a last-minute check with ease, instead of making a mistake due to the fact that they couldn’t bother to call the headquarters. Overall, the right project management tool helps with communication, as well as reporting. As you can see, not every tool used in the construction industry has to be construction-related. After all, it’s still a business and how well you manage the business aspect of it (the money-making aspect) is equally as important. Also, like every other organization, it’s efficiency depends on adequate personnel management, which is why the project management tools are there, in the first place. All in all, this is a complex and vivid landscape and the more sides you approach it from, the better.